Damn February. I wrote this post and postponed to tomorrow 7:00, as I use to. Too bad that Blogger did not gave any error messages for "Feb 29" but posted immediately. So 2 posts today, no posts tomorrow. Read this on Sunday! Besides selling bags for always decreasing price and selling alliance-only pets in the common AH, a commenter suggested another business that I found profitable: selling alliance-only cooking recipes. 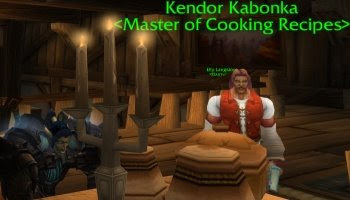 Kendor Kabonka sells a dozen of recipes. They are not really interesting, except for those people who want to do Chef de Partie and Chef de Cuisine achievements. I never understood why would anyone bother, but hey, I'm not judging, I'm selling. The recipes cost 10-20 silvers, and I sell them for 20G each. One guy usually buys a full set, paying 240-260G. With this business I have 3995G, 2K more than last week. 2K/week on Maghteridon-EU, ally side with 5-10mins/day playing is not bad at all. Search the Alliance AH for Tasty Lion Steak, Kaldorei Spider Kabobs and Roasted Moongraze Tenderloin. The kabobs are hardly ever on the AH. The Moongraze is often 300g ish. But the Tasty Lion Steak (Alliance only, from a quest in Hillsbrad) is often up for 10 or 20silver. 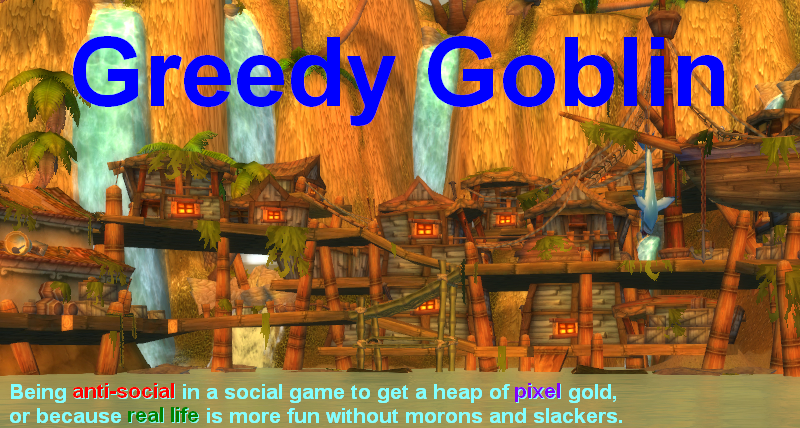 I have made more than 20k doing this on a PvP realm. Starting with weekend, I have a solid competitor. I actually farm the Roasted Moongraze (I can do 2-3 an hour) and Kaldorei Spider (I can easily do 6 an hour) and sell for a few hundred gold. The Tasty Lion is an easy 400g ish when I find it.. I found rolling a fresh DK and getting to the quest took a couple of hours and that time is worth more than I can sell it for.